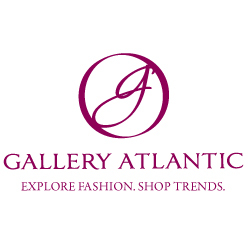 A new social media platform is being launched on the ecommerce fashion and accessory website: GalleryAtlantic.com. This initiative is seen as an opportunity for trendy style bloggers who live and breathe fashion to share their editorial voice. We are looking for great communicators, writers and bloggers who are clear about their vision when it comes to putting together a great ensemble. GalleryAtlantic.com is launching a new social media platform to bring great stylists to their site. Sending out a call to those with a fabulous sense of style and gift for predicting trends, GalleryAtlantic.com is expanding their list of contributors in its new and unique initiative. In an interview, VP of Marketing at GalleryAtlantic.com, Becca Hill said: "At GalleryAtlantic.com, fashion is always first, and the key to truly great fashion is to encourage the stylist to achieve her dreams. Fashion is a great creative outlet, which can only be benefited by studying motifs that will help stylists to express their editorial voice. Inspiration for sartorial splendor can be found in the most surprising places. We are looking for great communicators, writers and bloggers who are clear about their vision when it comes to putting together a great ensemble. So who qualifies? Hip stylists who fancy themselves as the next Rachel Zoe or Kate Young. A great stylist finds her niche by observation and attention to detail." 1. The applicant should keep up to date on current trends by perusing the recent fashion magazines and watching this season's fashion shows. Residence in a fashion capital, such as Milan or Paris is not a necessity. All the shows are recorded and can be viewed on the internet, easy to find for the fashionista who knows where to look. 2. Create a professional portfolio of outfits. A look book doesn't require a model or a famous photographer; think of it as a scrapbook for the stylish savant. This is the Pintrest age; any style smart gal with experience in photoshop can put together a killer set of style pages. Getting a foot in the door as a stylist doesn't have to mean burning a hole in the old wallet - or shoes! 3. Network, network, network. In order to meet potential clients, a stylist will need the right kind of exposure. Every college girl (and her mother) has a blog; what the smart stylist needs are connections. Get connected to fashion related sites who will appreciate style savvy contributions to their content. A digital picture of the applicant looking gorgeous! 160pix X 160pix please. A brief description of the applicant's personal style, limited to two sentences. A personal profile article about the applicant, including her tastes in clothing, jewelry, etc. The stylist should feel free to include links for promoting her personal fashion blog, YouTube videos, and other social media platforms. Also to be included in the application is her birthdate and star sign; contributing stylists must be over 18 to blog on the site. Virgos are always welcome.